Apollo-1 Senior Squadron - "On the Move..."
Congratulations to Maj. Bob Nelson and Lt. Charles Mitchell of the Apollo-1 Senior Squadron. 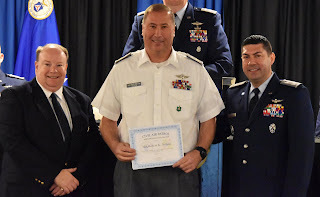 At the recent Maryland Wing Annual Conference, Maj. Nelson was honored as his dedication to flight duty, being recognized as both the Maryland Wing's 2018 "Ace of the Base" for having the largest number of total flight hours (98.8 hours), and the Maryland Wing's 2018 "A-Mission Ace", flying the most USAF A-Class Mission hours (83.2 hours). 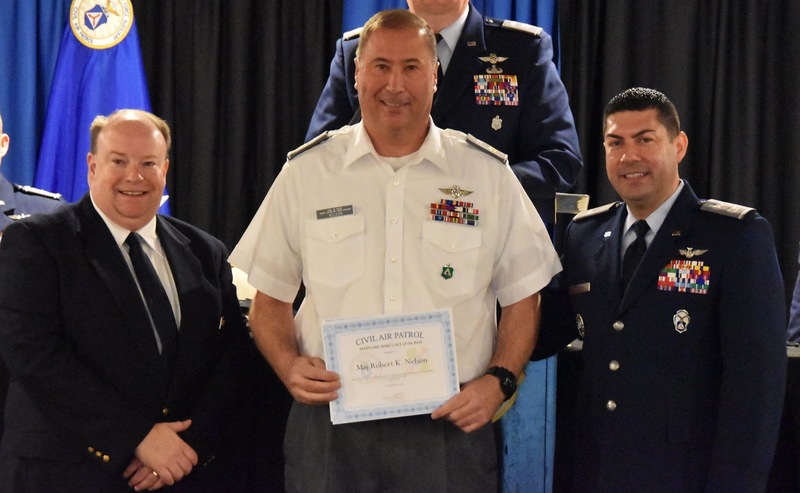 Bob regularly participates in Civil Air Patrol Senior and Cadet training missions, as well as Air Force Junior ROTC orientation flights. He has been a member of CAP aid missions to in the aftermath of recent hurricanes in the Southern United States. While Maj. Nelson has been dominating the skies, Lt. Charles Mitchell has been upholding the Apollo-1 Senior Squadron's honor on the ground. At the Maryland Wing Annual Conference, Charlie was recognized as the Wing's Transportation Officer of the Year. Congratulations to both Bob and Charlie for jobs well done!!! First Tuesday each month from 6:00-8:00 p.m.